This month we made a Kickstarter film for our friends at Chicken Town, who are seeking crowdfunding for a new Tottenham restaurant. 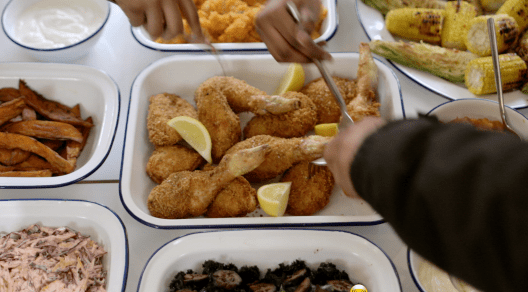 The not-for-profit social enterprise will serve up delicious fried chicken with a happier twist – it’s healthier, tastier and affordable, serving a junior special at £1.99 (the same price as an average chicken shop). In the evening, the shop will turn into a family restaurant serving craft beers and delicious food, which will subsidise the day meals. The residents of Chicken Town need to raise £50,000 before 23rd April 2015 and they need your help! Please visit this link, watch the film and donate what you can. There are some great rewards, including a yummy chicken dinner of course!